We know that when it comes to dental care, you have many choices. Why not choose a progressive, health centered, relationship based dental practice that offers state-of-the-art dental care, which reaches beyond your oral health and offers services which will improve the aesthetics of your smile as well as enhance your overall health and wellness? Ours is just such a unique practice. We have dedicated ourselves to delivering care and personal service which exceeds what is considered usual and customary. For nearly 25 years we have been helping our patients enjoy a lifetime of wellness and comfort. 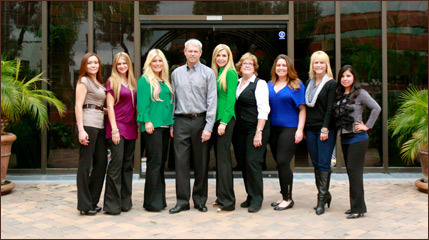 We are honored that you have chosen to place your health and trust in our hands and become a part of our dental family.